Get Yours Fitted at Berwick Mazda Today! 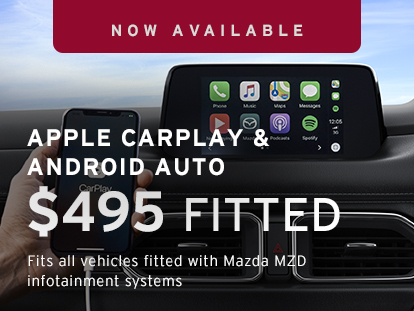 Heard about the new Apple Car Play and Android Auto Retrofitted Accessory? Interested in having your Mazda decked out with one? For more information on availability and compatibility: fill out the form below, contact us on 03 8796 6222 or visit our dealership at 3 Prestige Place, Narre Warren 3805 (2 minutes from Fountain Gate, Bunjil Place and Monash Fwy).